Yep! 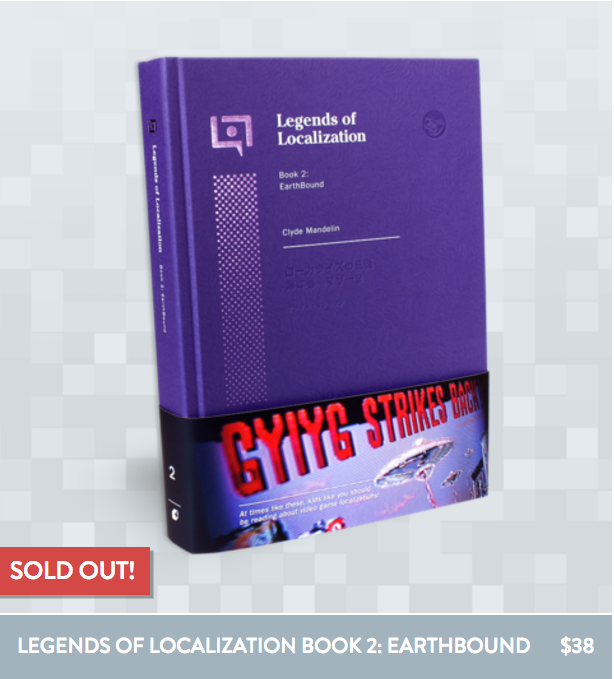 The LoL EarthBound book is sold out. It’s already being reprinted, so we should have more by mid-to-late August. So much happens behind the scenes while working on Legends of Localization projects, but I’d say 99% of it never gets shown or shared. I’m always poring through research materials, magazines, sites, and more, and new things are always happening. So I thought it’d be nice to set up a side “dev blog” where I and my fellow LoL members (yep, it’s not just me anymore: Heidi/Poe and Tony are also on the team) can make quick posts about what we’re up to or share some cool stuff we’ve stumbled across. I receive a lot of e-mail every day, usually questions about specific localization issues in certain games. It takes a long time to answer each one, so I’ve become notoriously bad at taking forever to respond to e-mail in general. I feel it’s important to answer every one, though. I’ve been chipping away at my e-mail backlog and finally have it down to just 60 e-mails, down from ten times that just a few months ago. So if you sent something since 2015 but haven’t gotten a response, hopefully one will be coming in the near future. 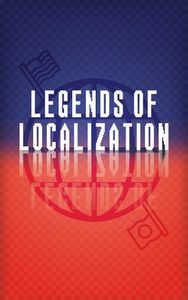 The newest Legends of Localization book should be out in a few weeks! It’s not a standard LoL book, though – it’s something much lighter and easier for general audiences to get into. More details soon, but on our end we gotta do a bunch of prep (product photos, product page, promo video, outreach, etc.) before it releases. We’re also thinking of doing a promo stream for it, but I don’t know what that would entail yet. 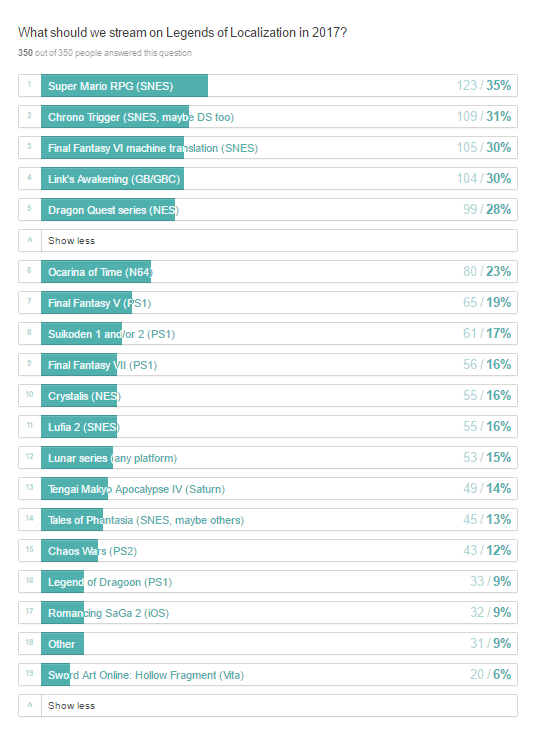 Late last year, my Funky Fantasy IV game translation experiment made a bunch of headlines around the world. I got invited to write about it in a fancy academic journal that focuses on translation, so I’ve gotta break the rust off of my academic-style writing soon if I’m gonna make this year’s deadline. I’ve also been prepping a book about the Funky Fantasy IV experiment. It’s set to focus on the particularly interesting and entertaining translations in the game, with accompanying info + explanations on how said translations even happened. It’ll also touch on the technical side of things, the responses I received from surprising organizations, and general info on why machine translation and video games don’t mix as things stand now. I’m considering making it part of a “Horrors of Localization” series, or some similar name. I still need to iron out some issues + finish some missing text, but I do hope to release the Funky Fantasy IV patch sometime too. I’ll probably do that as the book is finishing up. Early this year I started to put together a blog article on the history of EarthBound fans’ hopes for Mother 3 since 1995 all the way to 2017. As I wrote it, the post got so big that I realized it’d need to have its own dedicated web page instead. Even that’s started to get so big that it makes more sense to put it into some other format. It approaches the topic from an unusual angle that isn’t about the game, but rather about the fans and one of the most wanted game localizations of all time. It’ll materialize in some form someday – maybe as a book, or maybe as something else. 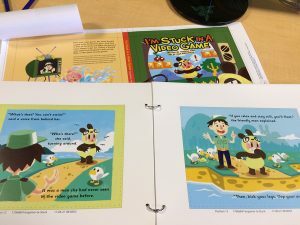 A while back, Nina Matsumoto and the creator of Game Center CX/Retro Game Master put together a children’s book about a girl who gets trapped inside a video game. 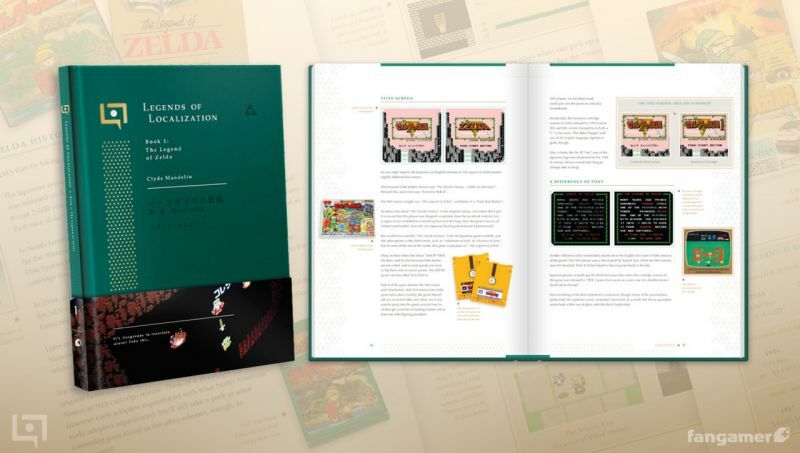 Recently, it was announced that Fangamer is releasing the book in English. The announcement was even on Game Center CX itself! 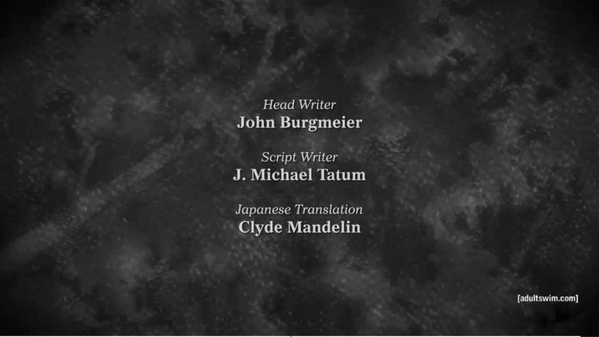 Anyway, the Legends of Localization team is involved in a small way! Plus it’s not every day that Japanese children’s books get localized into English, so I also interviewed everyone involved to document the process. It’s been a dream come true for me in several ways. More info on all of this later, of course! I’ve been slowly putting together some content for the “patch pages” of our Zelda 1 LoL book. Stuff keeps happening, though! 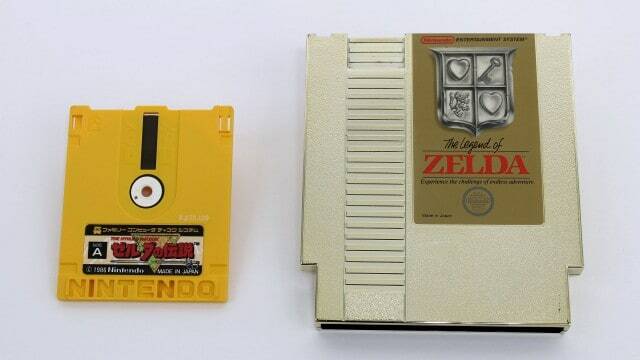 The latest example is when we discovered that Nintendo quietly fixed some text for the Zelda 1 NES Classic Mini release. 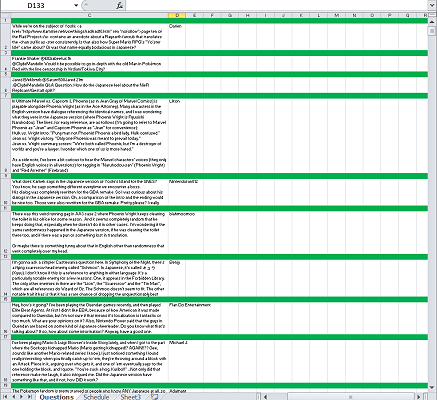 This stuff is lower priority, but I’d like to get some patch pages out sometime. Basically, they’ll be released as free, downloadable files that you can print out for yourself. We’ve considered also offering them as professionally-printed stickers too, but I’m not sure there’d be enough demand for it. But maybe that’ll change if there’s enough hooting and hollering. The next big, main LoL book is about the first Super Mario Bros. Just as the Zelda and EarthBound books looked at localization in different ways, this one will take a different look at localization too. After last year’s EarthBound book, we decided “no RPGs in 2017” and that it’d be beneficial to try our hand at smaller paperback books on separate topics. 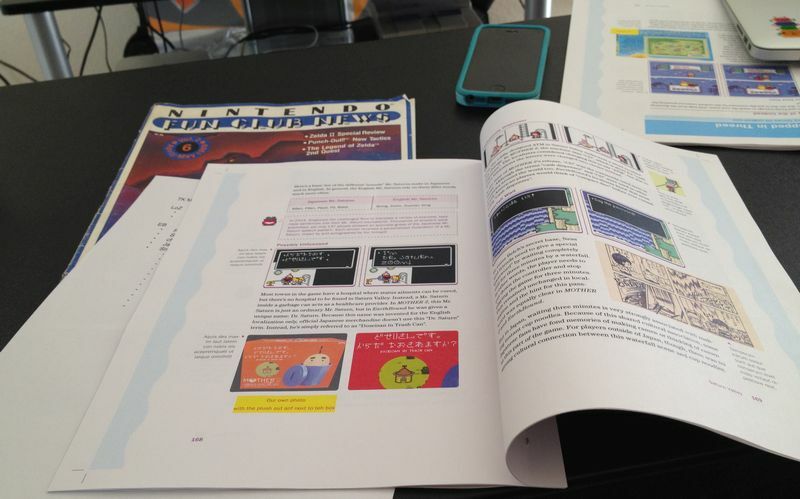 As such, we’re still in the early research, planning, and buying phase of the SMB book. 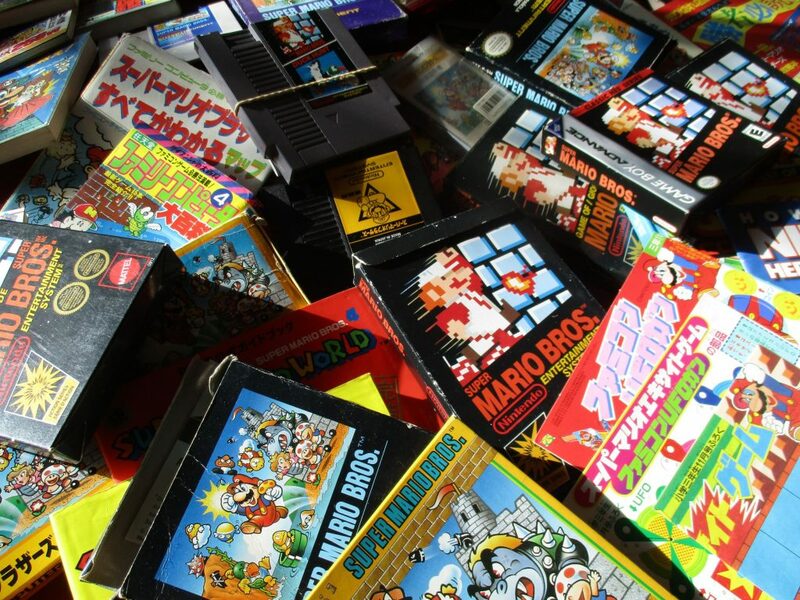 We’ve been buying games and consoles from all over the world for the book, and as each new thing arrives I always learn something new or get a new idea to add to the book. The main Legends of Localization site has had a very ugly design since I first created it in 2013. I have no art or design sense, so it was all meant as a placeholder for something much better. Tony did some design work for a redesign a few months back. I’ve slowly started implementing it in HTML, but it’ll be a while until it’s ready to go live, especially with 212+ posts that will likely need to be hand-tweaked to display properly afterward. I also gotta reprogram some technical stuff to work with the new layout. The good news is that it’ll work much better on mobile devices than it does now. No real estimate on when this’ll all be ready, but it’s something else that’s in the works. The EarthBound LoL book is selling out fast and already needs to get a reprint, so we’re completing the final steps for a new run. We’ve fixed a few typos and such for this new edition. We also got about 1500 more bonus bookplates lying around, so we’re gonna try to sign them all before the second edition arrives. More info on all of this later. As always, if you ask in the order form, we’ll gladly sign one of our books and/or draw weird things in them! 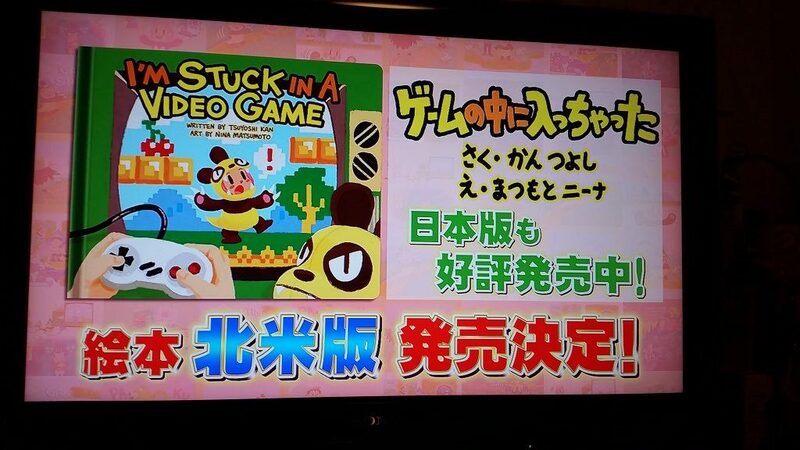 It’s long been my dream to translate classic Japanese-only video games and release them in an official capacity. It’s still too early to say much of anything, but the quick story is that it’s become a less impossible-sounding prospect in recent months. We’ve been putting a good amount of effort into this, so if anything develops I’ll share what I can. It’s very possible nothing will come of this, but I’m personally optimistic about it. Amid all the books and projects and whatnot, standard site updates are always on my mind. I have a big list of topics I want to cover but I’ve learned I gotta be choosy or they’ll take up all my time. I also have an update for the next Final Fantasy IV page about 30% done. I don’t know when it’ll be ready but I at least expect it to be up by the end of the year at the latest. A recent addition to the current LoL site is the gallery section. It’s something I’ve wanted to do for years now, and it offers a way for fans to help out too. After the first two galleries, I’ve learned that they take MUCH more work than they seem at first! We’ve been trying to brainstorm other LoL merchandise lately that ISN’T a book, but I also want to make sure that whatever we make, it’ll be helpful or useful in some way. We’ve come up with a few ideas but nothing that I’m 100% sold on yet. Last year I showed off an experimental program that allowed me to display the Japanese scripts for Breath of Fire II and A Link to the Past while I played the English versions. With this program, I was able to compare the Japanese and English scripts live on stream while interacting with stream viewers. The program later made a bunch of headlines on gaming and translation sites. More recently, I’ve started to develop a much more powerful program that does the same thing with more reliability and flexibility. It’s still in the early development phase but it’s got an insane amount of potential for Legends of Localization projects. It could also be used by other people for completely unrelated purposes. It’s a really cool system and I hope to be able to share it when it’s more complete. For now, I’ve been slowly developing it with different projects in mind. At the moment I’ve used it in different ways with Final Fantasy IV, Super Mario All-Stars, Super Mario World, Tecmo Secret of the Stars, and Super Mario RPG. This will deserve an entire site section of its own sometime, but after our Super Mario RPG translation comparison stream series ends, I’ll probably use my custom program to make Final Fantasy VI T-Edition (an amazing Japanese hack that’s supposedly insane to try to hack into English) sort of playable in English. It’ll take a good amount of time but be worth it; since the hack doesn’t change much of the existing text, I can also use the same setup to do a live comparison stream of FFVI at the same time. The problem is that streams often take 3+ hours out of my day, which eats a ton of time out of my day. 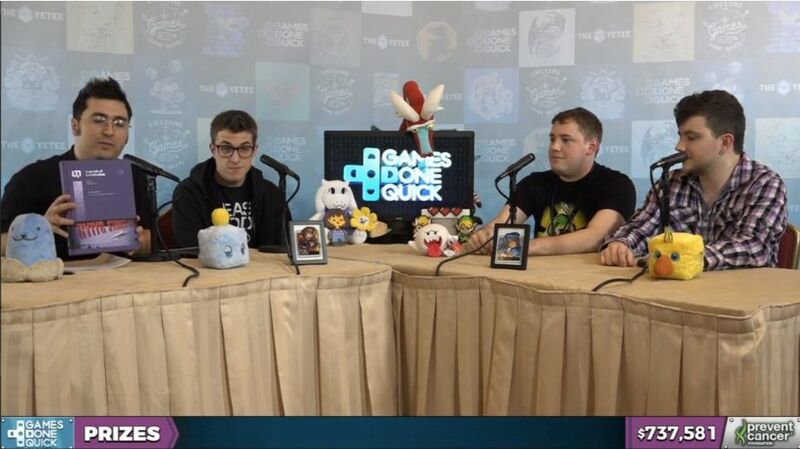 I like them, though, and many of the head-turning LoL projects wouldn’t have existed without the streams. Plus they basically involve what I already normally do anyway for LoL stuff (take a zillion screenshots of games while analyzing stuff live). It’s a weird problem, so I’m still trying to figure out what’s best for everything. 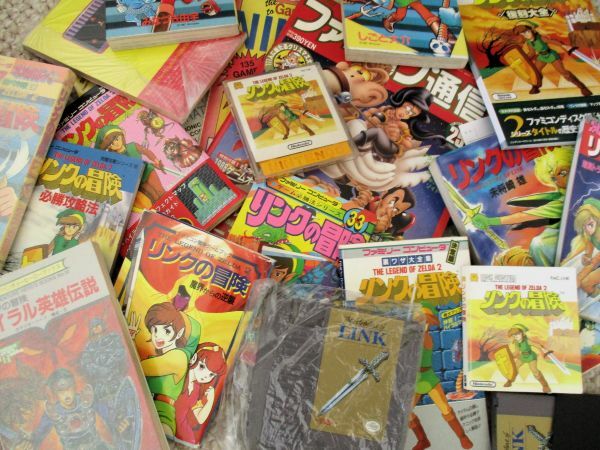 Last year we were lucky enough to get giant boxes of old Japanese gaming magazines that aren’t well known outside of Japan. I’ve skimmed through many of them, and Poe has been busy cataloging their info. There are so many cool little articles, pics, and more but it’s been awkward trying to share them on the main LoL site, so hopefully this new dev blog will be filled with scans soon! 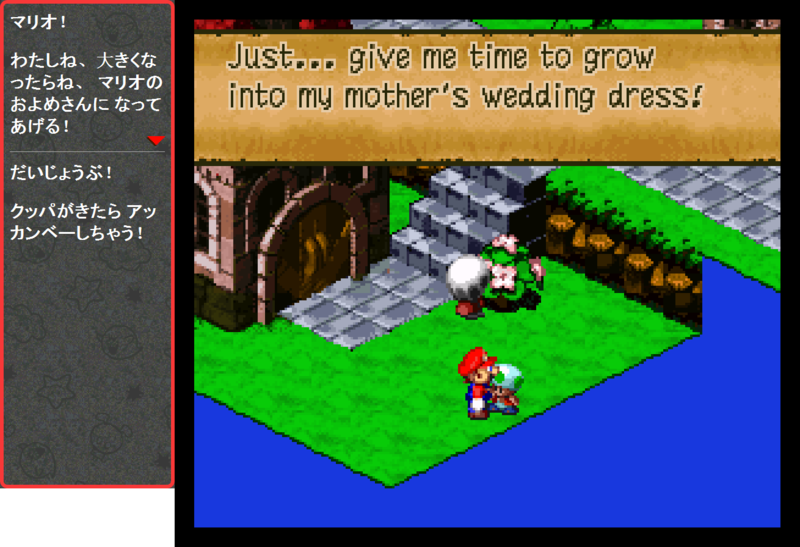 Super Mario RPG also features some changes, but no text changes that I’m aware of. I noticed one enemy got fixed so that it isn’t invincible under certain conditions. If you’re interested, here’s a big text file that lists all of the changed bytes: smrpg-diffs. By accident, Legends of Localization got a lot of attention for covering one of the earliest Nintendo Switch games that featured a particularly bad translation. Even after the developer updated the game’s text in response to gamers’ reactions, the translation somehow got worse! The game’s short enough that I’ve considered offering them a competent translation for free, but I have yet to reach out. I’m thinking I might just get screenshots of all the text I can, translate them properly, and then send it all to the CEO (who’s also the game’s designer, head programmer, and translator). Between everything else, though, this is pretty low priority. Legends of Localization has been donating prizes for the Games Done Quick events for a little while now, and this upcoming one will have LoL representation too. Poe’s been coordinating a lot of it so I’m not sure what exactly is going on, but she’s been busy with it recently. Look for it! 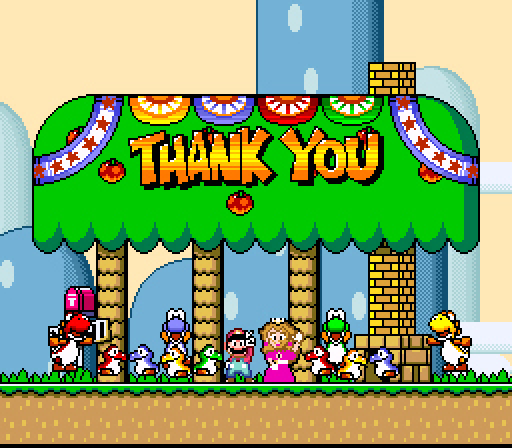 Anyway, this is all to say that Legends of Localization has a lot going on at the moment. Check back regularly for smaller updates about stuff we’re doing or stuff we’ve found! 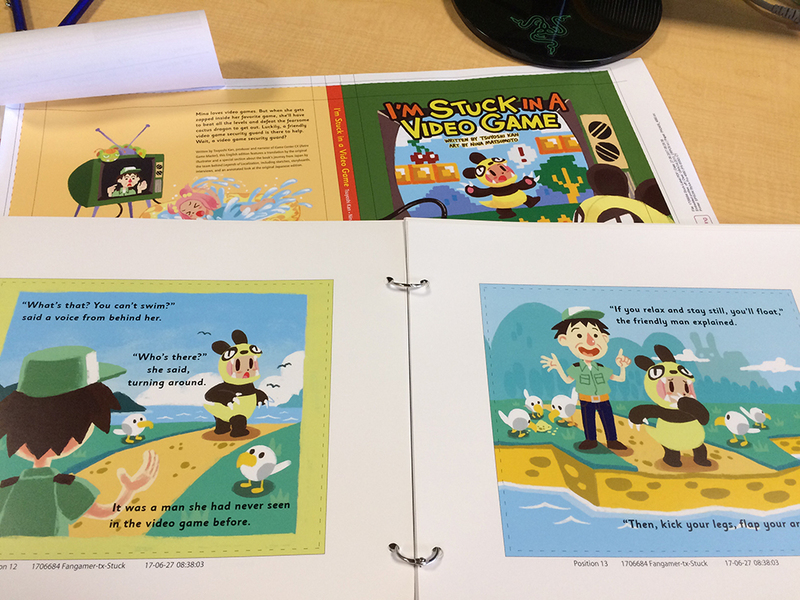 Let’s Make the EarthBound Localization Book Happen! Fangamer’s “You Are Now EarthBound” Kickstarter is ending soon, and I’m involved with one of the final stretch goals! Indeed, if it gets high enough within the next three or so days, I’ll be able to make a book version of my EarthBound localization analysis! I didn’t get too far – I soon studied the language a lot more, did a lot of projects, and even became a professional translator. Armed with all this, I eventually went back and did a full comparison of EarthBound and MOTHER 2 — and later turned that into the start of Legends of Localization. After I finished it, I dreamed of making it into a book somehow. There was also a lot of content that I skimmed over that I’ve always wanted to go back and cover, plus I’ve actually had the honor of meeting EarthBound’s head localizer, discussing details with him, and even chatting about MOTHER 3! 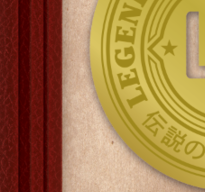 So with all this, now would be a wonderful chance to put EarthBound Legends of Localization into a book form! Cover questions and topics that have sprung up since I finished the site – I might even do a call for questions beforehand! 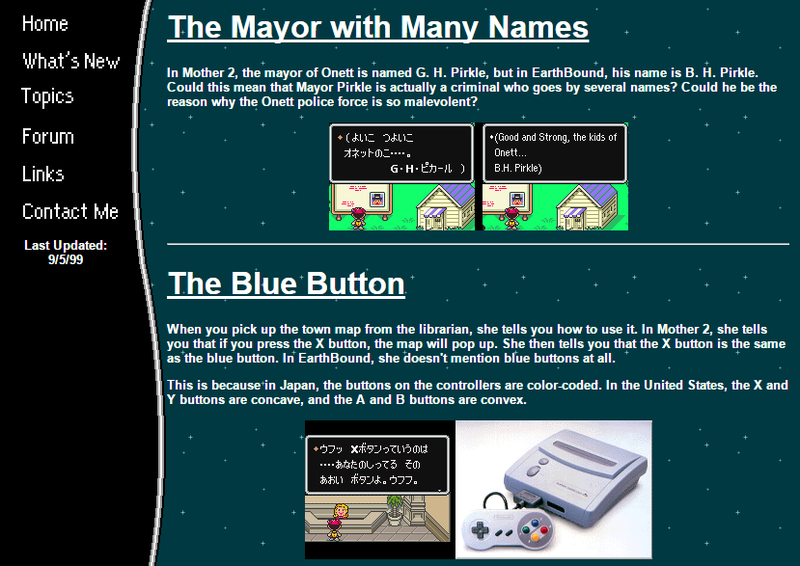 Include new insights and answers from EarthBound’s head localizer himself! Anyway, if the Kickstarter stretch goal is met and the book does well enough, it could open up opportunities to do more books on a more regular basis! 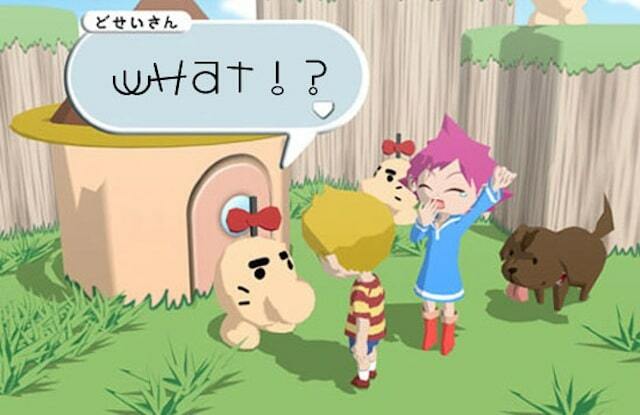 I’d love to be able to focus my efforts on plenty of other games and series – my MOTHER 3 translations noteswould be a perfect start, for example. And if things go REALLY well, I’d love the opportunity to go and seek out the various people responsible for localizations and see what their experiences were! Of course, this all rides on whether or not this stretch goal gets hit and if the EarthBound book does well enough. Even if you don’t back the Kickstarter, if the goal DOES get met you’ll still be able to order the book from Fangamer, but if you do back it I think there’s probably a tier or something where you can get a copy of the book automatically. Depending on how things go, I might do a smaller, simpler book before the EarthBound one just to get the kinks and everything worked out. But that’s getting ahead of myself – for now, if any of this interests you, consider backing Fangamer’s “You Are Now EarthBound” Kickstarter!